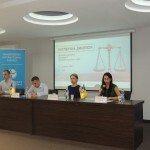 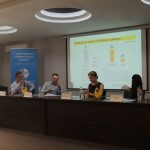 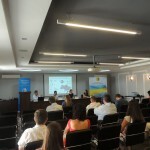 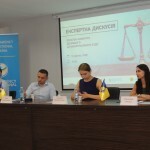 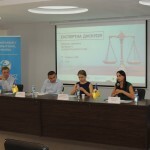 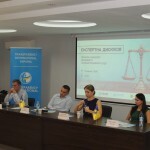 An expert discussion «The beginning of the competition to the Supreme Anti-Corruption Court» organized by the Ukrainian Bar Association together with the Ukrainian representative office of the international anti-corruption network Transparency International was held in Lviv on August 13, 2018. 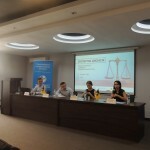 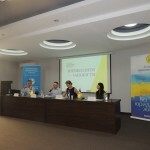 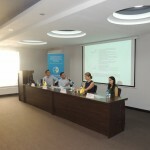 The event was opened by Maxym Kostetskyi, legal advisor of Transparency International Ukraine and Roksolana Kostur, the head of the Branch UBA in Lviv region, attorney, the partner of the «Matviyiv and Partners» attorneys at law. 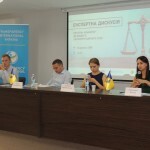 In particular, Ms. Roksolana welcomed everyone, not only the members of the Branch UBA in Lviv region, but also the general legal community to join the processes of forming the Supreme Anti-Corruption Court. 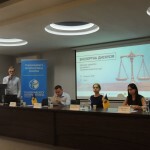 Taras Lopushanskyi, the Director of the Lviv Territorial Department of the National Anti-Corruption Bureau of Ukraine, spoke on the implementation of a fair and independent trial on top-level corruption cases. 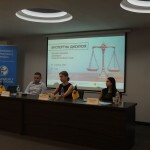 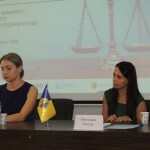 Anastasiia Krasnosilska, expert of the Anti-Corruption Action Centre highlighted the issue of integrity and professional composition of the court and public monitoring of the process. 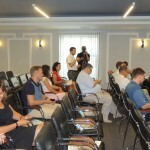 After an expert discussion, the participants continued the conversation with a cup of coffee in informal atmosphere.